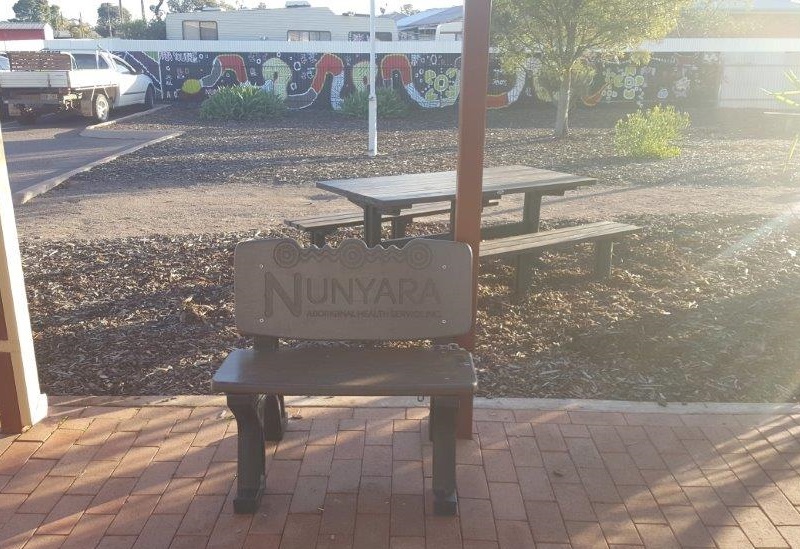 Nunyara Aboriginal Health Services had slated wood benches that were continually being repaired outside of their Health Services office in Whyalla, South Australia. 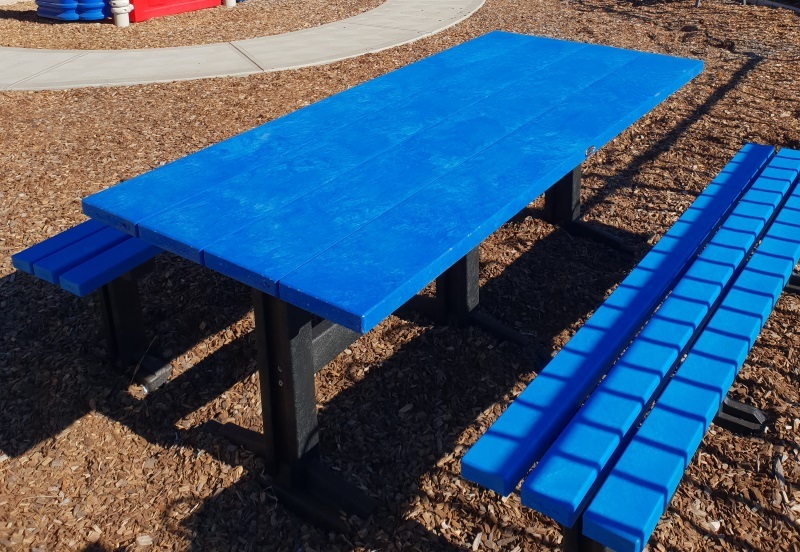 Looking to replace their old, tired timber benches, the team decided to choose Replas, “because of the fact that it is a recycled product and it’s sturdy and attractive,” explained Jane Baulderstone, Chronic Disease Coordinator. “Everyone is amazed at just how great recycled materials can be. 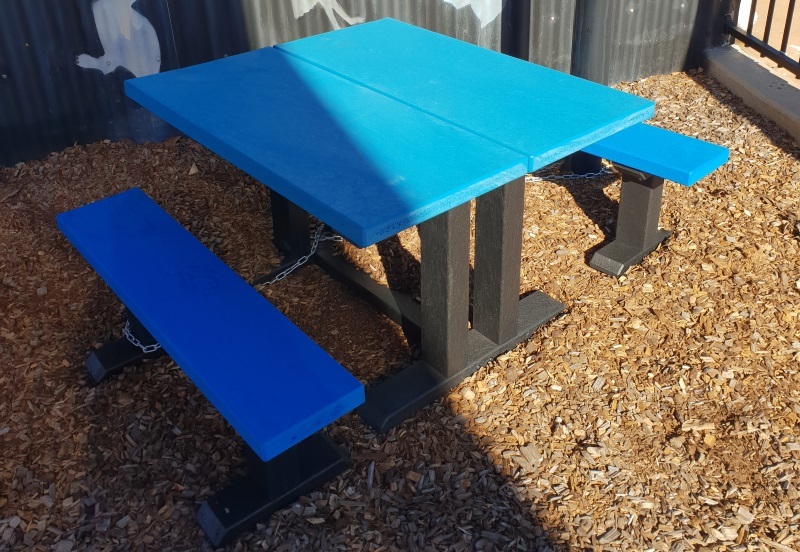 We are certainly more than happy with our beautiful outdoor recycled furniture,” Jane said. The Premier Setting and 900mm Beachcomber are a perfect fit for the outside areas as they will not split, rot or crack like the old timber they once had. 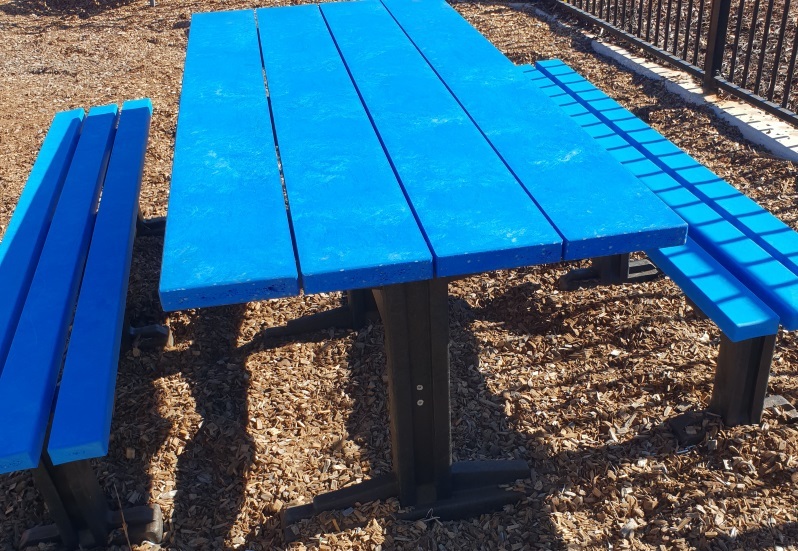 “The resistance to vandalism/theft (just the weight of the product is a great deterrent) is certainly a big point that we had to take into consideration as well as the aesthetic look of the product was important to us. The great workmanship on the logo’s turned out great,” continued Jane. 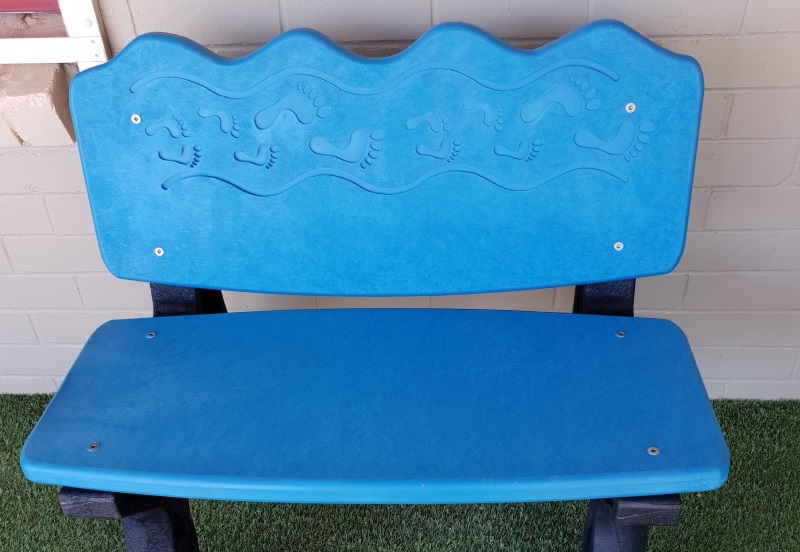 The staff at Nunyara Aboriginal Health Services try to recycle where ever possible in their medical service, with confidence there will be more Replas products popping up around their Health Services in the future. “We are so pleased with our Replas furniture. It is beautifully made and fits in with our recycling policy that we try very hard to maintain. You will not be disappointed if you go ahead with any of the Replas products,” said Jane.